We are Kent Weyrauch, Matt Okada, Jen Smith, and Matthew Betz, and we aim to be a listener-focused show that brings hard-hitting, professional redraft analysis in a fun, entertaining, and relatable package. 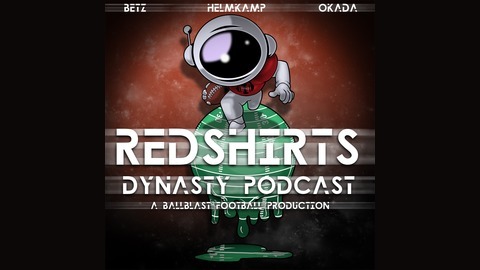 Don't forget to follow us on Twitter @RedshirtsFFPod, as well our personal accounts @KentWeyrauch, @FantasySensei, @TheOnlyJenSmith, and @TheFantasyPT. 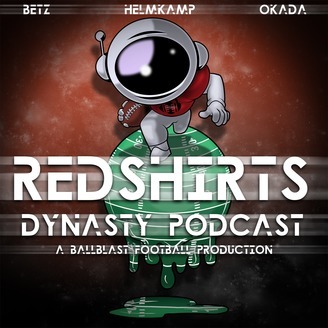 You can also find us at Facebook.com/RedshirtsFFPod, and on the TFA site at thefantasyauthority.com/redshirtsffpod. Feel free to hit us up with questions and comments! And please feel free to leave us a review (and 5 stars — wink, wink)! It really helps us grow AND will get you an entry into our Listener League contest. Just take a snapshot of your review, follow the pod on Twitter, and tweet it at us to enter. More details in the future! In this episode, the Redshirts will be breaking down their top 12 consensus quarterbacks and tight ends for the 2019 season. Whoever has a player higher or lower needs to explain their reasoning! And we looked at a few discrepancies outside the top 12 for other big names.